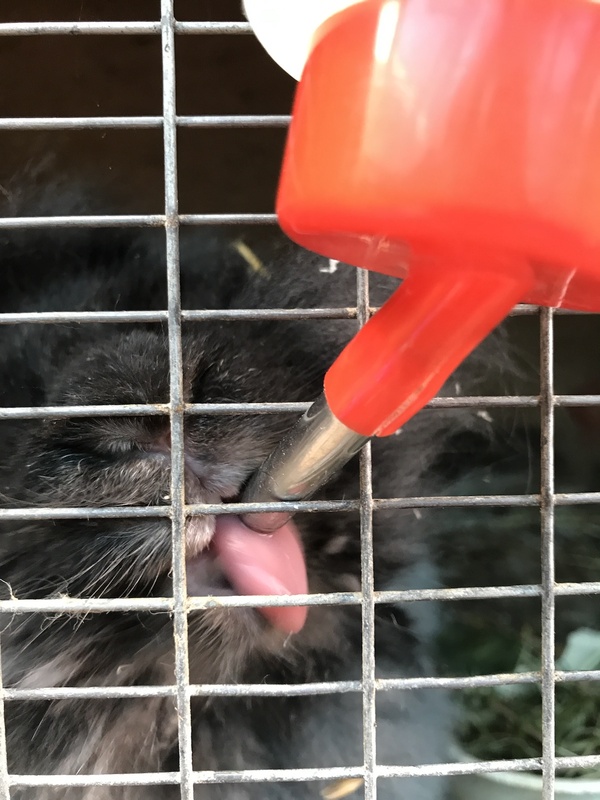 Angora rabbits need water as part of their daily routine. Wild rabbits tend to get sufficient water from eating grass and greens whilst domesticated rabbits have a largely dry diet and need to have additional water supplied in their cages. This can be through a bottle attached to the cage door held in place by a wire or a cup that hooks onto the wire door or a ceramic bowl within the cage. It is especially important to ensure they have adequate water supplies in hot weather, and that their bowls or bottles do not freeze in winter. Nursing does have a high demand for water due to milk production, and their water supply should be checked frequently. Posted 03/09/2017 by LH & filed under Angora Welfare.